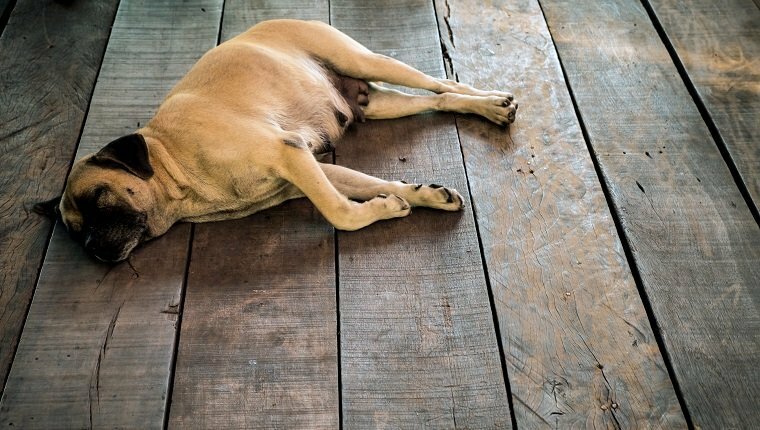 Diabetic ketoacidosis in dogs, sometimes shortened to DKA, is a deadly medical emergency that happens when there is not enough insulin in the body to regulate levels of blood sugar known as glucose. It is a complication of diabetes mellitus that requires immediate medical treatment before it becomes fatal. When insulin levels drop, the body can’t use glucose properly, so glucose builds up in the blood while the liver produces ketone bodies to act as an emergency fuel source. When ketone bodies break down, they cause the body’s pH balance to shift and become more acidic. Dogs can’t maintain their fluid and electrolyte balance, which results in deadly symptoms. If your dog shows signs of diabetic ketoacidosis, especially if they have been diagnosed with diabetes, it is important that you see an emergency veterinarian right away for treatment. Here is what you should know about the symptoms, causes, and treatments for diabetic ketoacidosis in dogs. 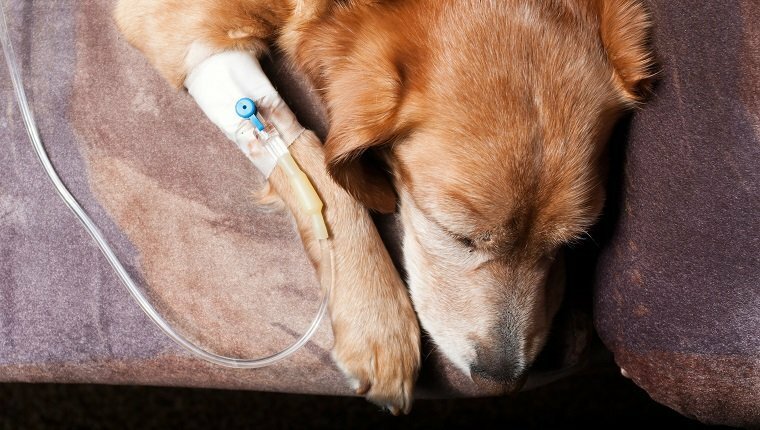 Sometimes dogs that suffer from diabetic ketoacidosis only show mild symptoms, but the majority of affected animals get very sick within a week of the start of the illness. The symptoms of diabetic ketoacidosis can resemble the warning signs of a diabetic condition, which also requires medical attention. The difference is that diabetic ketoacidosis is the body’s final effort at survival before succumbing to diabetes. The main cause of diabetic ketoacidosis in dogs is ultimately insulin dependency because of diabetes mellitus, but there are a few underlying factors that can influence the development of ketoacidosis. 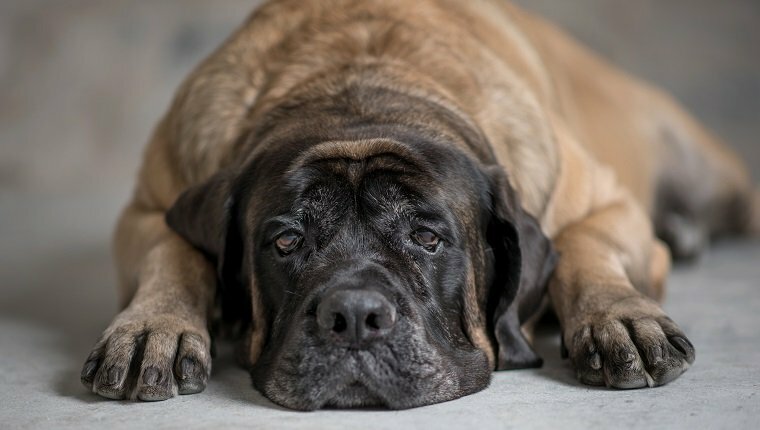 If a dog suffers from diabetes, whether a vet diagnosed it or not, the following factors may cause them to suffer from diabetic ketoacidosis. Female dogs, especially dogs that are not spayed, are more likely to develop diabetic ketoacidosis. Older dogs are also more at risk. The earlier treatment for diabetic ketoacidosis in dogs begins, the better. However, because symptoms develop so quickly, they are often severe and life-threatening by the time a veterinarian can begin treatment. Typically, treatment begins by addressing symptoms such as dehydration and electrolyte imbalance. These are treated with intravenous fluids and supplements of phosphate and potassium. Next, the veterinarian will work on restoring appropriate levels of insulin, which depends on the severity of the condition and may require some trial and error. In more mild cases of diabetic ketoacidosis, dogs are treated with injections of insulin to restore glucose levels, which can take a few days, but the prognosis is generally good. 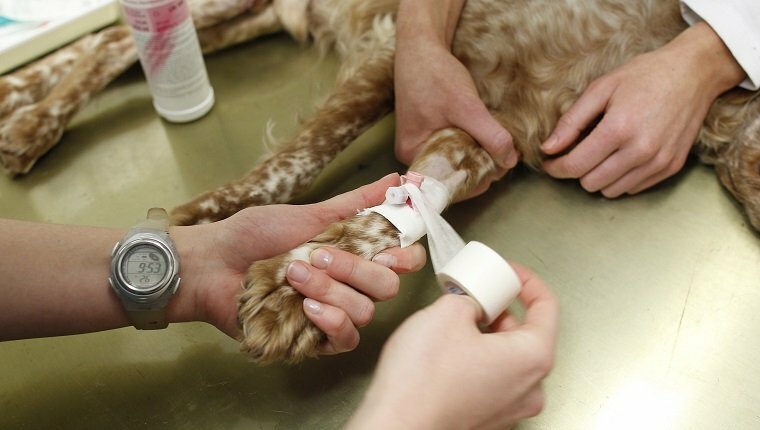 In severe cases, dogs may need to be hospitalized for five or six days and given aggressive treatment. Blood glucose will me monitored and checked every few hours, and vets will watch for signs of other complications. Antibiotics, diuretics, and catheters may be used to fight infection and restore normal urination. Any underlying disease or causes for diabetic ketoacidosis will also be addressed and treated. During recovery, vets may prescribe a low-fat diet with plenty of fiber and complex carbohydrates. It is important to note that up to 70 percent of dogs that suffer from diabetic ketoacidosis will have recurrences, so always watch for the symptoms and keep up with follow-up vet visits to monitor the condition.